Over the last few years music festivals have grown massively both in popularity and numbers around the Cotswolds. We guide you to the best ones and find the bands and artists who you shouldn't miss this summer! Let's just start by saying that a weekend at Wilderness is like no other. The atmosphere in Cornbury Park is indescribably magical with some incredible music, food and drink and the freedom of the outdoors including the wild swimming, runs, hunter gathers and the boating lake to name a few. 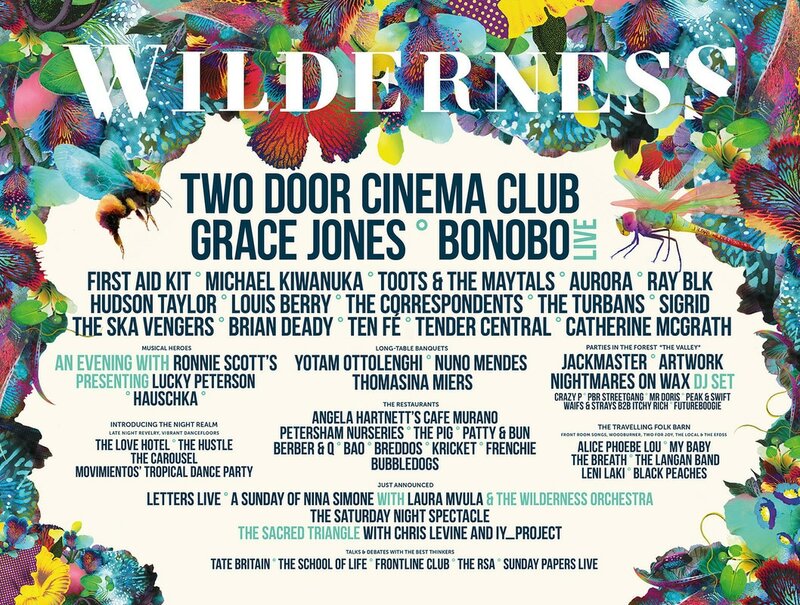 With the amazing First Aid Kit, Bonobo, Michael Kiwanuka and Two Door Cinema Club gracing the stage and the likes of Thomasina Miers, Yotam Ottolenghi and Nuno Mendes hosting banquets, Wilderness offers something very special which you will talk about for years to come. The Big Feastival returns to Alex James' farm in the stunning Kingham countryside once again this summer and is set to be another wonderful weekend with a line-up of great chefs, bands and artists. The Big Featival is literally 50/50 food and music with great crowds watching both. 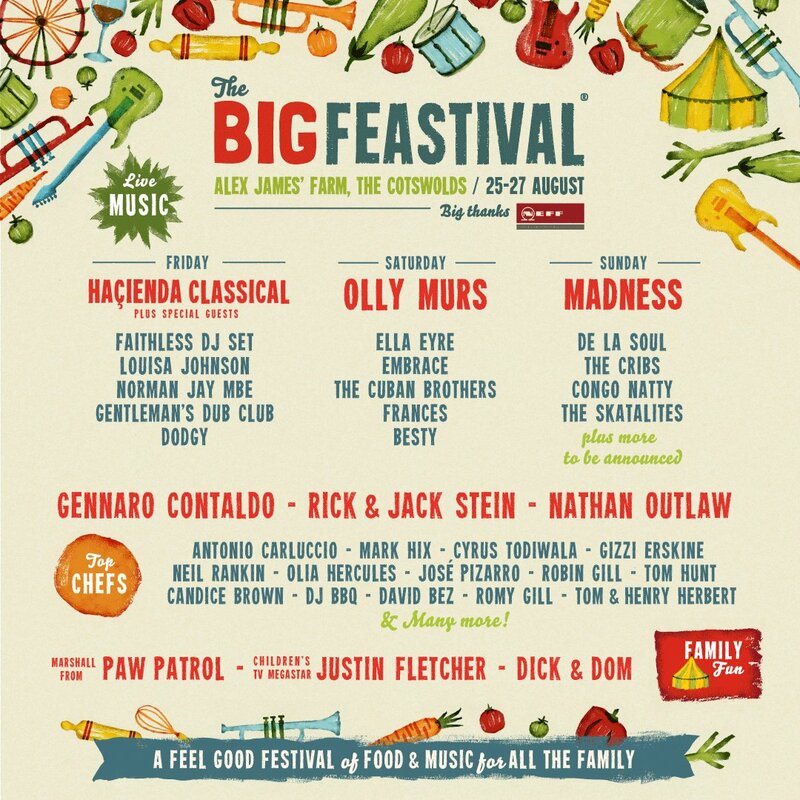 This year will see Madness close the festival, which could well be the must-see moment of the summer with their massive ska inspired anthems, as well as De La Soul, The Cribs, Embrace, Dodgy, a Faithless DJ Set and Olly Murs all on the bill. For foodies out there, you are in for a real treat with Gennaro Contaldo, Nathan Outlaw, Antonio Carluccio, Gizzie Erskine and local favourites Tom and Henry Herbert all cooking up some treats in The Big Kitchen. As well as this there is heaps to keep your children occupied and lots of amazing food and drink stalls. A weekend not to be missed! 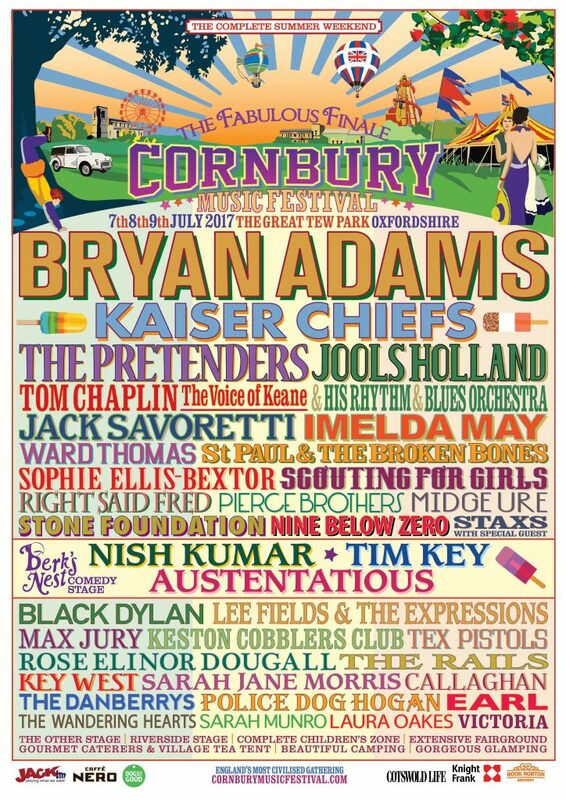 If you are looking for a sing-a-long this year then look no further than Cornbury. With headliners such as Bryan Adams and the Kaiser Chiefs belting out 'Summer of 69' and 'I Predict A Riot' respectively, you are sure to be in for a treat! The quality music doesn't stop there with The Pretenders, Midge Ure, Imeld May and the incredible Jack Savoretti all on the line-up in Great Tew Park this July. Look out for the pop-up restaurants and Kids Zone making this a favourite with families and music lovers alike! ​If you are looking for something a little bit heavier in your life this summer then the multi-award winning 2000 Trees is just for you. 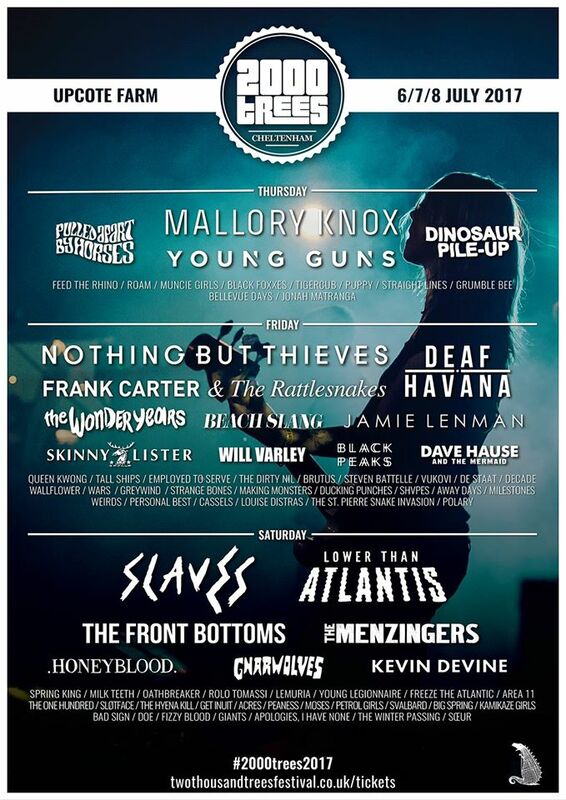 Located at Upcote Farm,just outside of Cheltenham, the line-up includes some of the best underground acts from the world of rock with the likes of Slaves, Deaf Havana, Pulled Apart By Horses and Dinosaur Pile-Up all included for 2017. Barn on the Farm is back with a bang again this year with a great line-up. 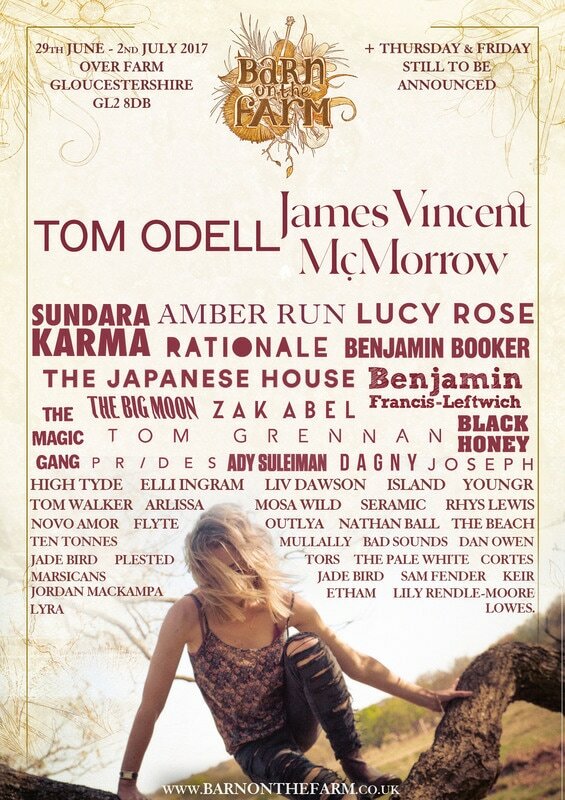 The festival that has seen Ed Sheeran, Bastille, Bears Den and Hozier grace its stage sees the brilliant Tom Odell headline another strong list this year which includes Benjamin Booker, Benjamin Francis-Leftwich and James Vincent McMorrow to name a few. 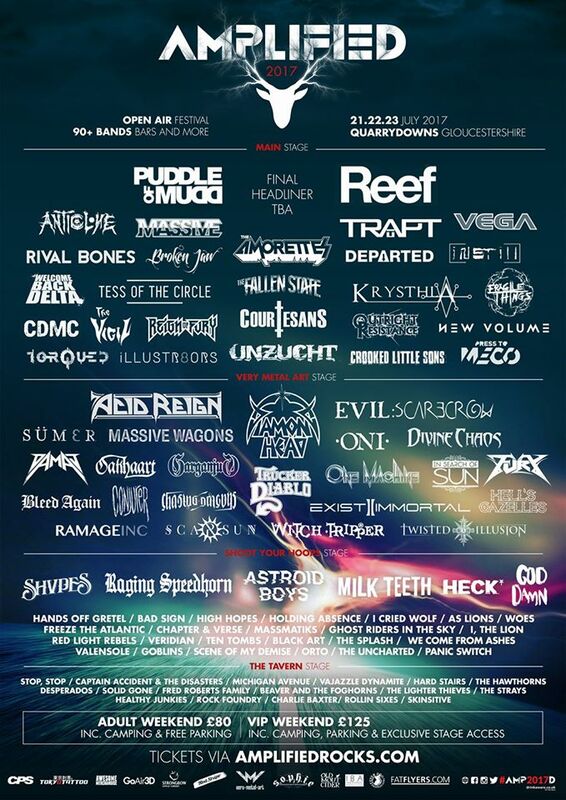 ​New for 2017, this rock, metal and alternative festival is arriving with a punch with Puddle Of Mud, Reef and a huge list of bands, with names written in a font which just sound loud when you read them, already on the line-up. Set in peaceful Aldsworth, just outside Northleach, this festival is ready to rock the Cotswolds!